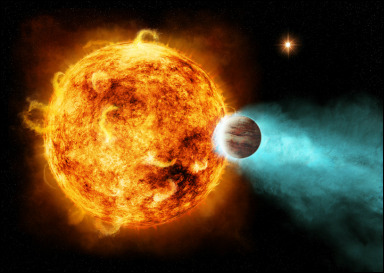 How do exoplanet properties vary as a function of stellar properties? The relations between exoplanets and stellar properties can help us understand how planets form, and where to find them. In this chapter for the forthcoming Handbook of Exoplanets, I review what we know about how frequently planets are found around stars of different masses and compositions, focussing on the difference between giant planets (pink circles) and sub-Neptunes (cyan circles). How is angular momentum transported in protoplanetary disks? 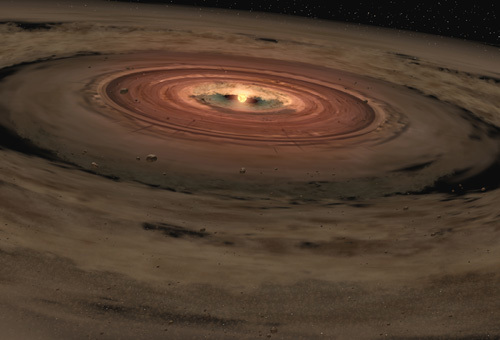 The relation between disk mass and accretion provides a strong constraint on the structure and evolution of protoplanetary disks. We have measured dust masses with ALMA and mass accretion rates with the VLT/X-Shooter of 145 stars in the Chamaeleon I and Lupus star forming regions. We find that the standard picture of disk evolution is not yet complete, perhaps indicating the role of disk winds in driving angular momentum transport in protoplanetary disks. How common are rocky planets around stars that are enriched in heavy elements? 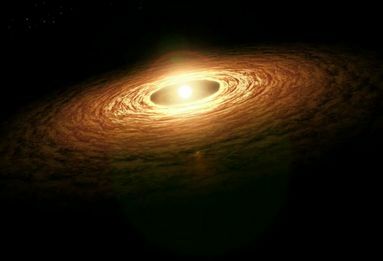 The metallicity of a star provides a measure how much solid material was present in the protoplanetary disk during planet formation. Planet formation models predict that planets form more efficiently if more solids are available, and giant planets are indeed found more often around metal-rich stars. In this project we explore how the presence rocky planets depends on the stellar metallicity, using spectra from the LAMOST telescope. We find that hot rocky planets are three times more common around metal-rich stars, but find no trend for colder planets. Do the architectures of planetary systems vary with the mass of their host star? In this project we investigate how the planet populations unearthed by the Kepler spacecraft vary with stellar mass. I've written a Python code that calculates the occurrence of planets for different subsets of stars. We find that planet occurrence is anti-correlated with stellar mass, and that the population of planets extends closer in around lower mass stars. Water delivery to terrestrial planets in the habitable zones around low-mass stars is less efficient than around low-mass stars. But exactly how much less efficient? In this series of papers with Fred Ciesla, we explore which factors influence water delivery to the habitable zones of low-mass stars using Nbody simulations. 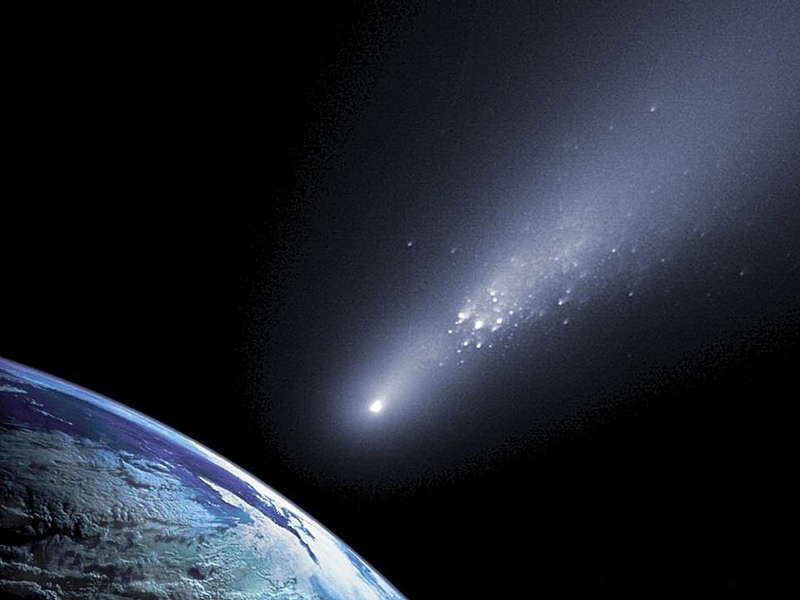 We explore the effects of water-loss in asteroids, the inclusion of planetesimals in the simulations, and the location of the snow line. We find that the majority of water-rich planets may still be found around M stars, despite less efficient water delivery. 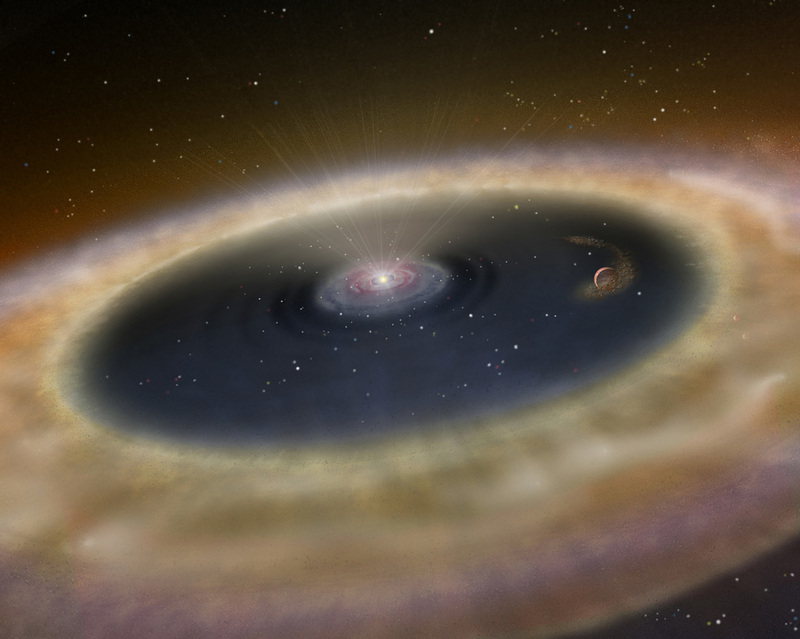 The LkCa 15 protoplanetary disk exhibits an annular disk gap that is thought to be carved out by a forming giant planet. We have imaged both the inner and outer disk for the first time in scattered light. These observations constrain the disk geometry and help us understand how forming giant planets affect the evolution and observational appearance of these disks. I obtained my PhD at the astronomical institute at the University of Amsterdam in the Netherlands, working with Carsten Dominik and Michiel Min on dust radiative transfer modeling of protoplanetary disks with MCMax.